With all the overhead involved in semiconductor manufacturing, it’s no wonder so many companies are going fabless these days. An increasing number of IC designs are now being sent to foundries to be mass produced, much of which goes overseas to institutions like the Taiwan Semiconductor Manufacturing Company (TSMC). However, with no disrespect to my new friends in Taipei, going fabless and shipping IP to Asia can be a dangerous proposition, as the amount of copycatted devices in the Far East is well documented. Furthermore, the business models and economies of scale necessary to operate a successful merchant foundry make temporarily shutting down a plant for manufacturing upgrades an extremely costly investment, which subsequently leaves that are looking to innovate with new materials or silicon wafer dimensions with very few options. 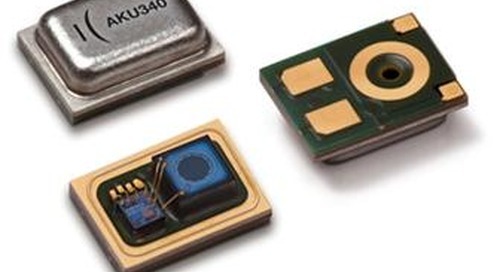 Enter Rogue Valley Micro, a precision MEMS foundry located in Medford, OR. Founded in 2005, the company’s comparatively “late” entry into the semiconductor manufacturing business turned out in many ways to be a blessing in disguise, as they were able to get a jump on the larger 200 mm MEMS wafer size while the competition was still retooling. Jessica Gomez, Founder and CEO of Rogue Valley, attributes the company’s continued success in the highly competitive foundry sector to investment in flexible equipment that can handle a range of specific fabrication processes – such as thin film coating, photolithography, and etch processing – as well as Rogue Valley’s smaller size, which enables them to handle smaller scale projects. Hey, being U.S.-based and able to circumvent ITAR regulations and IP security concerns doesn’t hurt, either.